Anne Hegerty on set of The Chase. 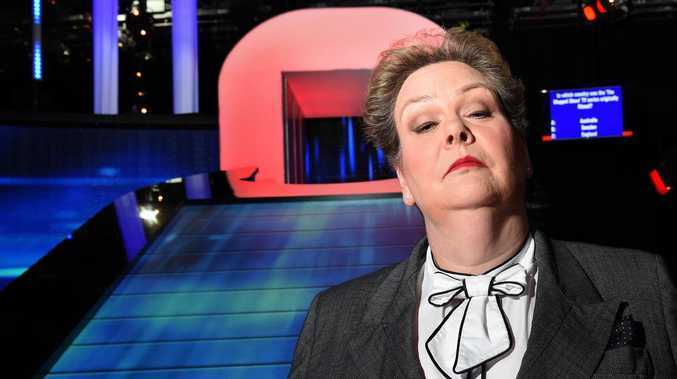 ANNE Hegerty aka The Governess from The Chase has opened up about having Asperger's syndrome. "I think that I saw a documentary on TV (about Asperger's) and there was just something about it that rung bells in my brain," Hegerty said on UK TV show Loose Women. "I remember in my diary writing, 'I'm beginning to suspect again that I have Asperger's syndrome.'" 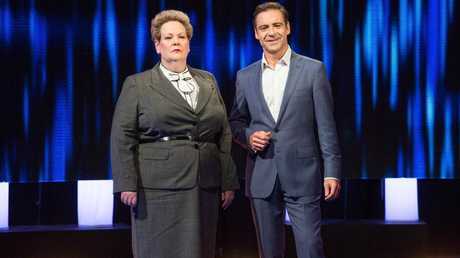 Anne Hegerty and host Andrew O’Keefe on the set of The Chase Australia. Hegerty said the diagnosis "made sense of a lot of things" and helped her understand why she has difficulty multi-tasking and struggles to keep her house tidy. "Some people say, 'You don't seem autistic. Where do you keep your autism?' I'm like, 'It's behind my front door and you're not coming in!'" she said on Loose Women. "My idea of time off … is just simply to stay home and relax and just surf around on the internet," she said. "I just need everything to go quiet, everyone to stop bothering me … I like to have my own kitchen … and washing machine." Hegerty has spoken about having Asperger's before and previously told the Loose Women hosts that she was at breaking point a couple of years before landing her TV gig. 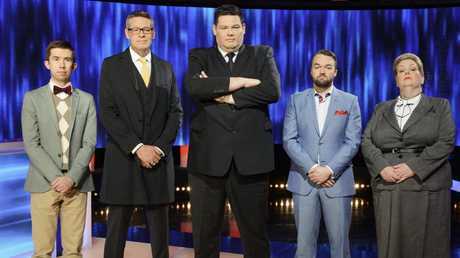 The Chase Australia stars (from left) Issa Schultz, Matt Parkinson, Mark Labbett, Brydon Coverdale and Anne Hegerty. "On New Year's Day 2008 I had two bailiffs turn up on my doorstep because I had so little income I had not been paying bills," she said. "I just couldn't quite get it together. "He also sent me to someone who helped me fill in forms to get disability living allowance which I still get," she said last year. The Chase, which is hosted by Andrew O'Keefe, airs on Channel 7 at 5pm each weekday.